The exquisite Neiva Bedding features Scandinavian geometric snowflakes and mountains, with soft, solid colors and muted stripes. The calming blues and rich browns speak of a casual elegance, perfect for the ski chalet or your bedroom retreat. The geometric pattern is accented with a buttonhole stitch edging. The pillow shams echo the pattern of the blanket cover and the chocolate brown tailored bed skirt gives this bedding added dimension. 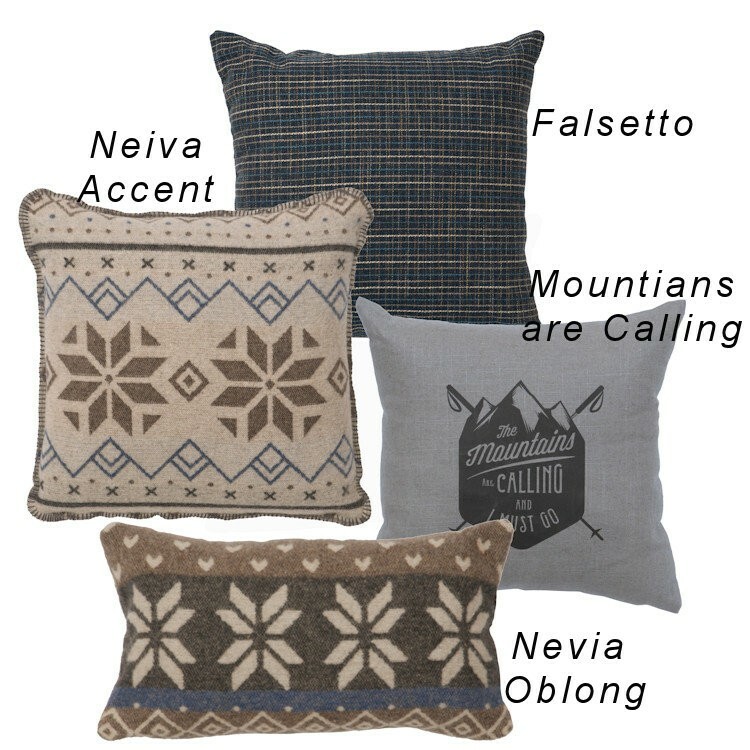 The deluxe sets include three euro shams (2 Falsetto and 1 Neiva) to complete the bedding ensemble. 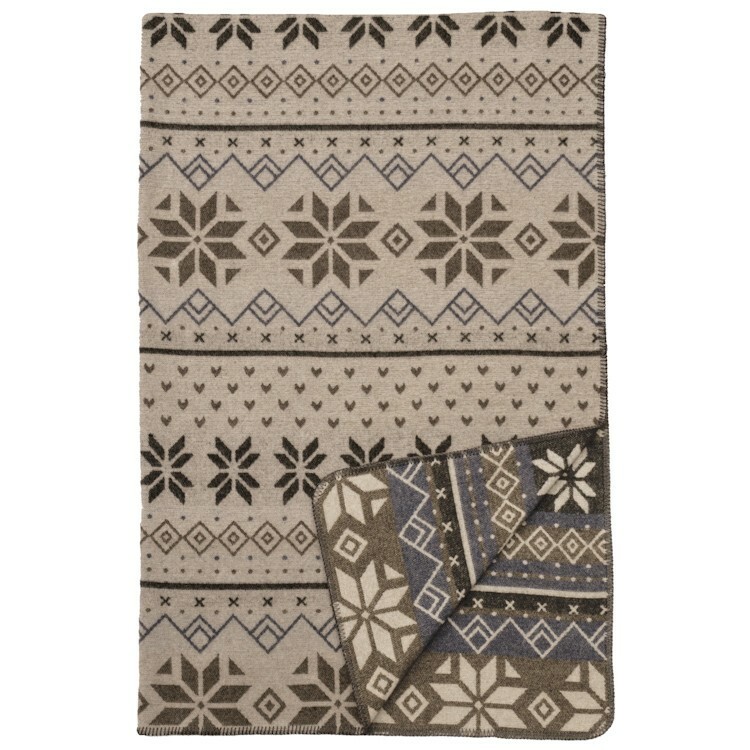 The exquisite Neiva Bedding features Scandinavian geometric snowflakes and mountains, with soft, solid colors and muted stripes. 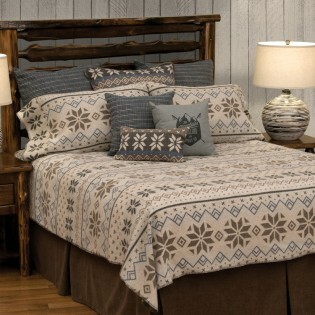 The calming blues and rich browns speak of a casual elegance, perfect for the ski chalet or your bedroom retreat. The geometric pattern is accented with a buttonhole stitch edging. The pillow shams echo the pattern of the blanket cover and the chocolate brown tailored bed skirt gives this bedding added dimension. 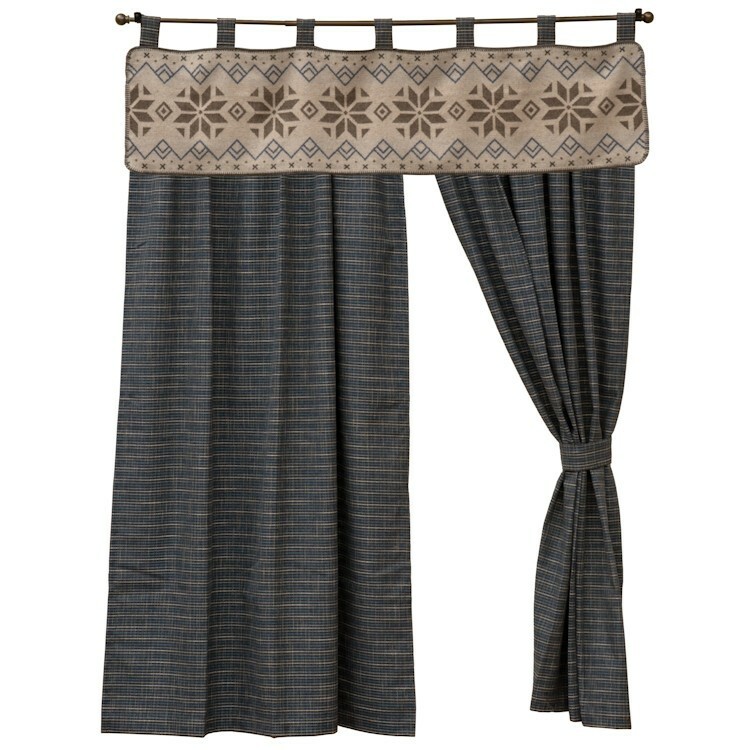 The deluxe sets include three euro shams (2 Falsetto and 1 Neiva) to complete the bedding ensemble.